Miami GP Raceway will provide a unique environment that will boost employee moral and foster team spirit within your organization. The occasion can be a holiday party, an appreciation day, a product launching, a team building exercise, an inter-company event for personnel working in different geographic locations, or an inter-department collaboration. Our corporate programs can be enjoyed by all ages and all genders, providing a memorable experience for all employees. They will remember this event for a long time as the racing inspires camaraderie among colleagues. For those employees that do not work physically alongside each other, a corporate program will bring them together in an informal and fun environment. A happy team is a successful team. For our corporate events the track is reserved exclusively for your group. Many different racing options are available depending on the size of the group. 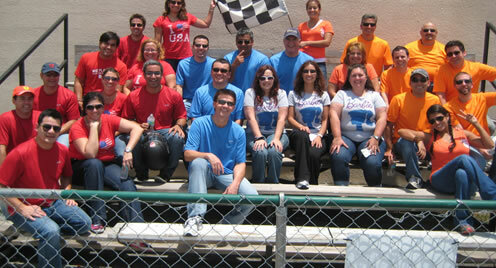 Our experienced Miami GP Raceway staff will work with you to identify your goals and customize a team building program to meet your needs and your budget. Events can be multiple sprint races or an endurance race. Endurance races are the ultimate team event with teams choosing various race strategies for refueling and driver changes. Personalized Awards or Trophies can be included in your package. Catering is available in our relaxing hospitality area. 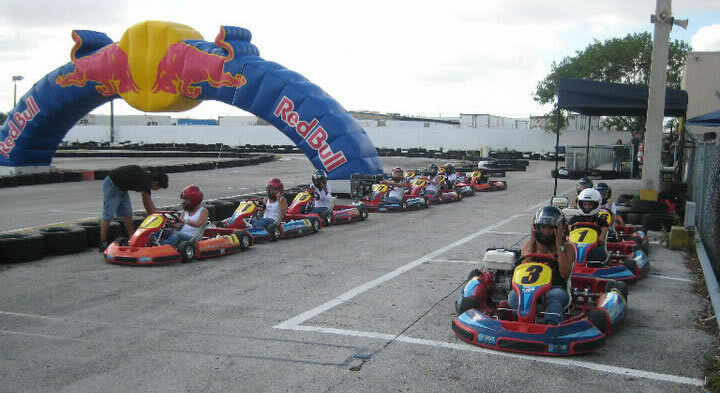 Miami GP Raceway is available for corporate events from 9am in the morning to 9pm at night. Our large outdoor facility is fully lighted at night. To race, a team member must have a valid driver's license and be at least 18 years of age. All participants are required to sign a liability waiver before racing. All participants should be in good health with no neck, back, heart problems, or be pregnant. Go-karting is a physically demanding sport. Send mail to info@miamigpraceway.com with questions or comments about this web site.